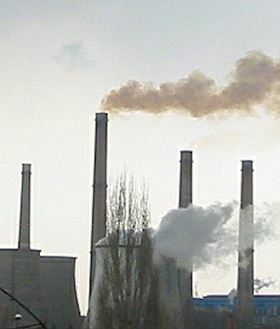 Air pollution causes nearly half a million premature deaths in Europe every year. Particulate matter made up of combustion particles, organic compounds, metals, dust, pollen, mould and other materials from electricity generation, transport and industry are the root of the problem. These tiny particles – typically 10 microns or less in size – are easily inhaled and absorbed into the bloodstream where they can lead to asthma, lung cancer, heart and lung disease, and birth defects. With around 90% of Europe’s growing urban populations exposed to levels of particulates over the World Health Organization’s air quality guidelines, urgent action is needed. Long-term solutions to tackle the sources of air pollution are on the way – such clean energy generation and low- or zero-emission vehicles – but additional, on-the-ground fixes are needed too. So the European Commission is launching a EUR 3 million challenge to come up with materials solutions to reduce the concentration of particulates in urban areas. The solution could come in the form of any material – plastic, cement, concrete, asphalt – but must be affordable, sustainable, well designed and innovative. “Pollution in Europe’s towns and cities is becoming a significant problem and reducing this will bring great health benefits to many European citizens,” says Martyn Chamberlain, EC project officer in charge of the Prize. Air pollution particularly affects the most vulnerable – children, the elderly and those already suffering from asthma and lung conditions. There are economic – in terms of lost working days and higher healthcare costs – and environmental impacts as well. “If we can reduce the amount of particulate matter in air, we can increase life expectancy and help lower the prevalence or affects of conditions such as asthma, lung cancer and respiratory diseases,” adds Chamberlain. The potential for materials solutions, is great, therefore. Some innovative ideas are already being explored, such as photocatalytic titanium dioxide coatings and cements for building exteriors, road surfaces or even clothing that absorb and breakdown harmful pollutants. Other materials also hold promise for the capture and breakdown of different pollutants. “Under Horizon 2020, we are investing in key enabling technologies, such as advanced materials, to reduce particulate matter in the air for the benefit of everyone,” commented Carlos Moedas, European Commissioner for Research, Science and Innovation, in his statement launching the prize. 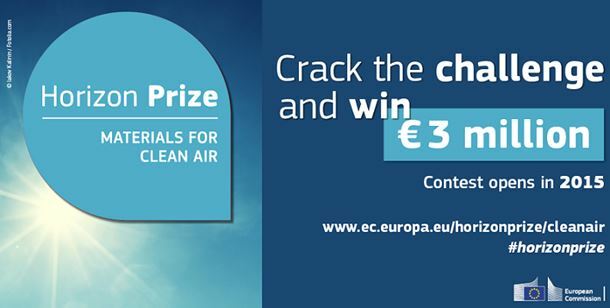 The Materials for Clean Air contest is one of seven Horizon prizes aimed at stimulating the development of solutions to problems affecting European citizens. The prize is open to any scientist or innovator from EU Member States or countries associated with the European Union’s Horizon 2020 research and innovation programme. The contest will open for entries in January 2017 and remain open until the final deadline of 23 January 2018. Liz Nickels visited World PM2016 in Hamburg and got swept up in a general atmosphere of optimism and innovation.